This is a square American Quality Coal porcelain sign. 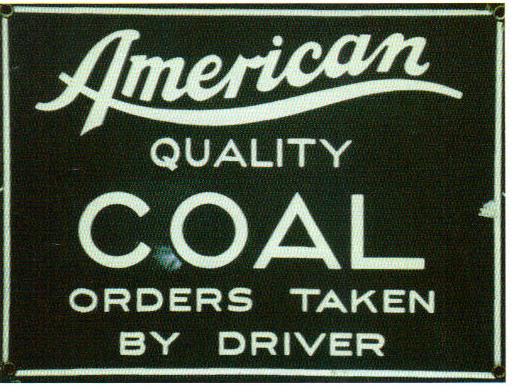 This particular American Quality Coal sign is green with white text. It reads, “American Quality Coal Orders Taken By Driver” and has no other design.